Small glazed vase possibly bird or tree, IH or JH? - Elizabeth Houghton? 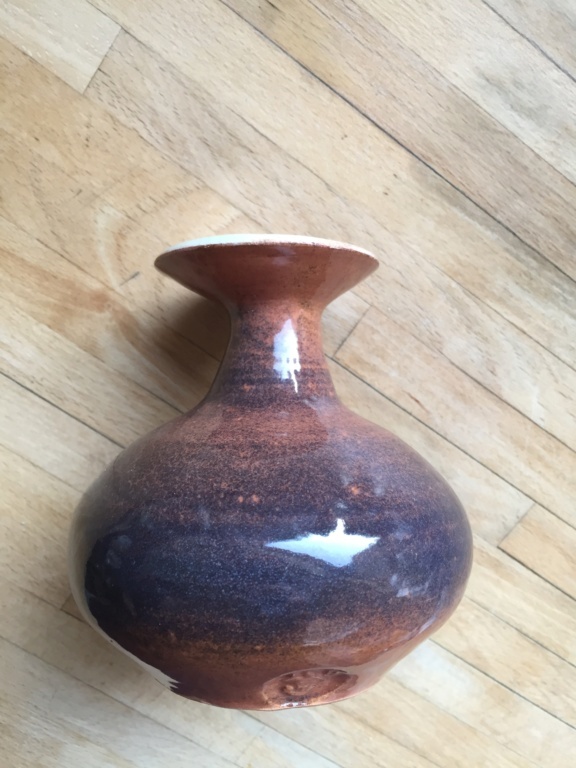 I'm relatively new to collecting Studio work and have been focusing on just one studio until I fell in love with this little anonymous vase (11cm high, 10cm at widest) in a fabulous brown glaze. It has a curious stamp which I can't quite work out - at various times and in different lights I think it could be a bird, a tree, or a boat! It has the initials IH or JH impressed, these were the best pictures I could capture. Any help or suggestions to research it would be appreciated - I've been searching in vain to try and identify it, thanks! 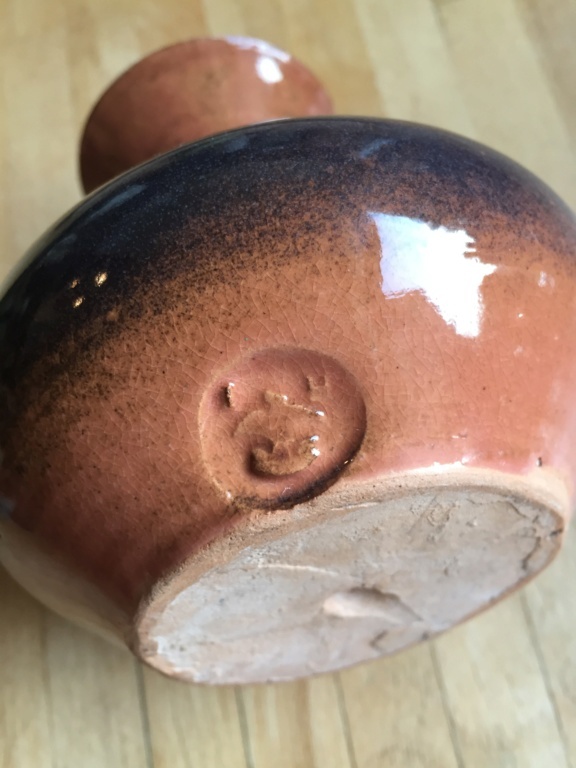 Re: Small glazed vase possibly bird or tree, IH or JH? - Elizabeth Houghton?